Tucked away at the top end of Hardware Street (yes, the same lane as cafe royalty, Hardware Societe) and diagonally across from Don Too lies an obscure and new Japanese eatery. Agnes also mentioned that if I in any way sniped her to the post, I would be dead to her and our Dastardly Duo relationship will end 🙁 So here’s mine! One day after hers! Wuhoo! 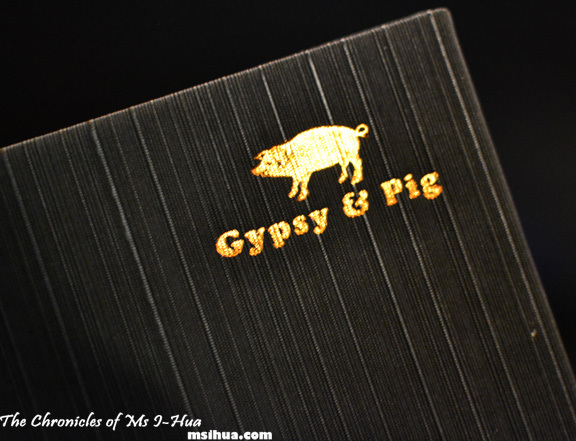 Newly opened and only in operation for a month, Gypsy & Pig is already causing waves in the food scene. Firstly, it’s super tiny. Like super. Ashley and I counted the seats in the restaurant and decided that it could fit a maximum of 22 people. TWENTY TWO PEOPLE! I could organise a blogger gathering here and book the place out. Easy peasy. As we had no booking, we were asked if we minded that our little group be split up. None of us minded and Agnes and Al took the corner seats of the bar, whilst Ash and I took the other corner at the opposite end. So began a night of impromptu dating filled with much giggling, laughter and kawaii finger poses to each other. The lone chef must have thought we were high on drugs. 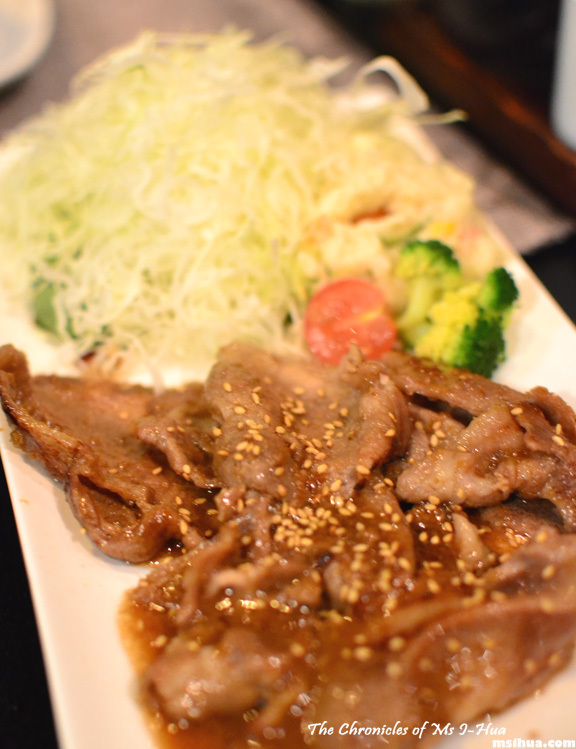 Specialising in Kurobuta pork, it is not a surprise that 8 out of the 10 dishes have Kurobuta pork in them. Having just come from a blogger pasta class, we weren’t too keen to go crazy with the menu. Ashley was worried that we had ordered too little until I pointed out that there were desserts on the menu! That quickly decided for us, that we would have some space for desserts. We shared the Pan Grilled Sliced Kurobuta with Special Ginger Soy ($19.00) and giggled at the spelling on the menu (specail!). Yes, once again, very mature of us. It took a while for the dish to be served but we were like meerkats peering up at the chef and oohed and aahed as we monitored him slicing into our Kurobuta piggy for the grill. The dish reminded me of a Chinese dish, but I had no complaints there. It was so so good. 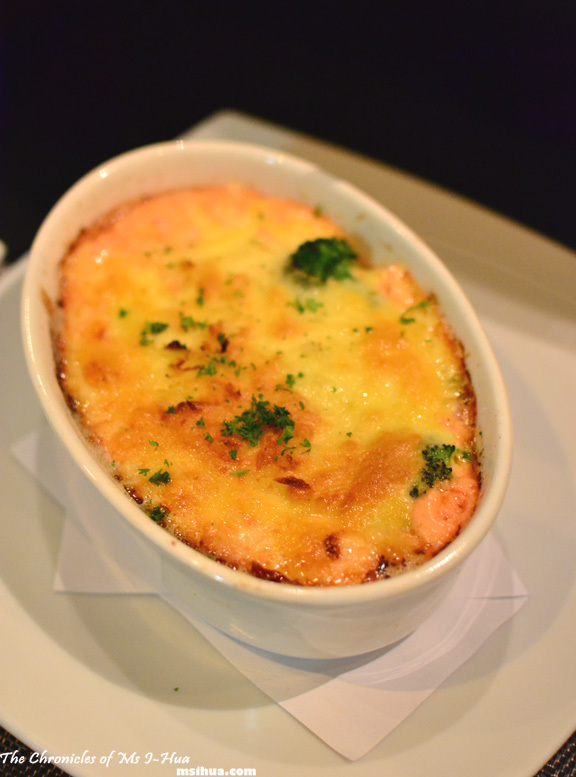 For our second dish, we went with the Oven-baked Potato and Pancetta Gratin with Creamy Spicy Cod Roe Sauce and Melted Cheese ($16.00). If that didn’t sound sinful enough in the description, it most certainly caused us to hyperventilate a bit as the dish was brought to our table. The smell was amazing. With the first scoop, we swooned. The spicy cod roe should not have worked with the pancetta. It shouldn’t but it did. Slightly on the salty side, the cheese and potato levelled and balanced the dish out. Too soon it was time for dessert! With eye signals and enthusiastic nods from across the kitchen bar/bench, Agnes agreed that she and Al were having desserts too. We waved our waitress over and asked what was in the Assorted Desserts ($18.00) option on the dessert menu. When she replied, “one of each”, Ash and I exchanged one look and locked in our order. 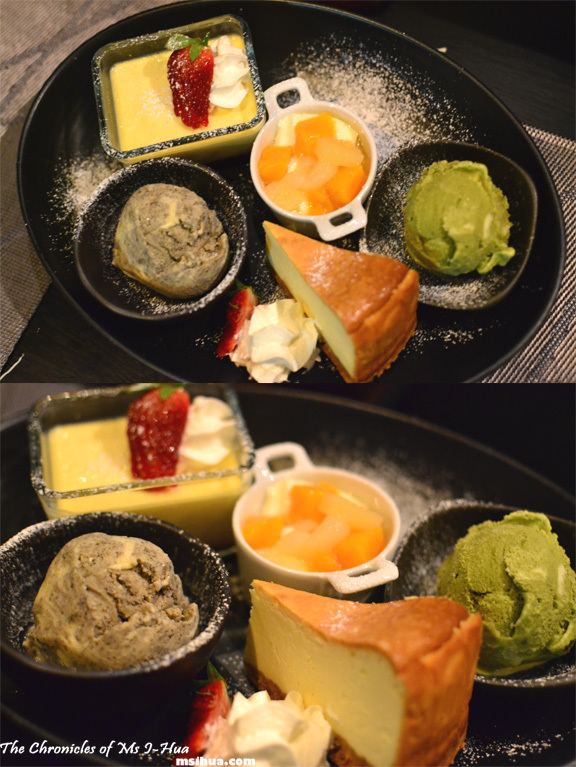 Containing a miraculous platter of 5 dessert items – Creme Caramel, Almond Jelly, NY Styled Cheesecake, Green Tea Ice-Cream and Black Sesame Ice-Cream, we couldn’t believe how generous the serve was (each item here ranges from $3.50 to $8 each). Our favourites were definitely the ice-creams, followed by the creme caramel, almond jelly and the cheesecake. If you are a fan of rich, smooth, strong flavoured Japanese ice-creams, I can honestly say that you won’t be disappointed. Top tip: Definitely BOOK your seats ahead. We witnessed a few patrons being turned away, but they returned as we were leaving. With a venue that small, you are almost guaranteed good quality food that has been paid full attention to. Have you tried Aka Siro, in Collingwood? It’s a great Japanese lunch place with a 70’s Japan vibe. Oh no I haven’t! I shall now! Hold on … pasta class? Please tell me I didn’t miss that post?! 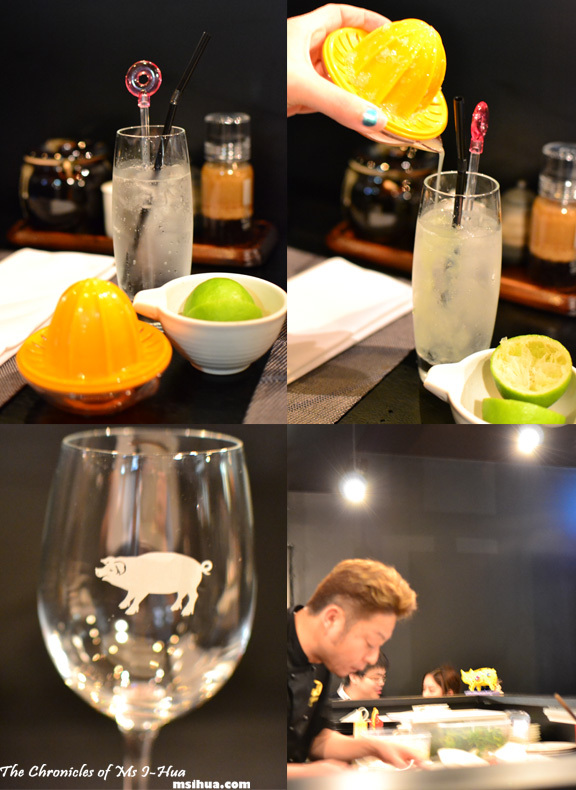 Woah, 80% of the dishes contain kurobuta pork? *faints* Love! theragingcook recently posted…Burch & Purchese: RAAAAAAAAAAAGE! Hey, we should have a gathering here. 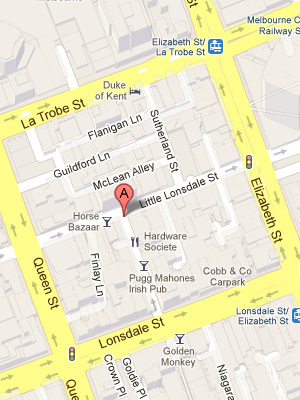 I’ll be back in Melbourne from September 18 to October 18, settling some of my uni stuff. Will you be free in any of those days? 😀 Perhaps lunch on weekend?! Ah, but Agnes said 24 seats! ONE OF YOU IS LYING TO ME. Sounds awesome. I could totally use a kurobuta fest. And YES to the dessert platter, too! It’s always yes to dessert! That cheesy gratin sounds so rich, so I guess it will be right up my alley! 🙂 The dessert platter looks great too. Wow definitely a hidden gem!!! I’ve never heard of this place but wow ~ Thanks for sharing I-hua can’t wait to go! How did I miss your posting of this?! Wah, still need to catch up. Mouth is watering again from looking at that pork though.